The 8270A measures and controls pressures from vacuum to 44 MPa (6400 psi). It can be configured with ranges as low as 100 kPa (15 psi). The 8370A measures and controls pressures from atmosphere to 107 MPa (15 500 psi). It can be configured with ranges as low as 700 kPa (100 psi). Fluke Calibration’s unique control technology enables you to use these calibrators at low or high pressures, all in the same instrument. Control precision is 0.002% of active range. Expand workload coverage to both gas and liquid filled devices by using the optional Contamination Prevention System (CPS). A pressure range 100 times smaller than the full scale will meet the control specifications without reducing supply pressure. For example, an 8370A with a 70 MPa (10 000 psi) high range module and a 700 kPa (100 psi) low range module will be able to control pressures below 700 kPa (100 psi) to within ±0.014 kPa (0.002 psi) without reducing the supply pressure. The 8270A and 8370A are modular systems that can be configured with up to five measurement modules at the same time, so they can handle high pressure, low pressure, and everything in between. Three families of modules provide three levels of performance that let you set up a system matching your needs for accuracy and value. More than 45 ranges, from low pressures up to 20 MPa (3000 psi) to choose from. Your application is covered with this wide flexibility in configuration. Safety is the top priority in the design and manufacture of our pressure products, especially high-pressure pneumatic controllers. The 8270A and 8370A meet all appropriate safety standards. Each unit is equipped with over-pressure protection as well as a front-panel abort button. Pressing the abort button vents the test pressure and returns the unit to a safe condition. Additionally, an abort valve accessory allows for faster, directed vent, as well as automated venting at loss of power. High-pressure gas does have more stored energy than high-pressure oil, but it is a safe option under the right conditions. By using the 8270A or 8370A with the available accessories, you have safe operation with a clean pressure media. The 8270A and 8370A, coupled with the optional CPS, can calibrate both gas-filled and liquid-filled devices without concern of contamination. With its wide pressure range coverage, one controller can accomplish the task that used to require two separate standards. Automated pressure controllers are some of the simplest, easiest-to-use pressure standards. Controlling and measuring pressure is as simple as typing in the required pressure and pressing Enter. Unlike deadweight testers, you do not need to spin weights at a particular speed or calculate gravity or temperature corrections. Unlike pressure comparators, the process can be fully automated and stability is achieved and maintained in a fraction of the time. The 8270A and 8370A can be configured with different classes of modules with different pressure ranges. This gives you flexibility to handle a variety of applications and workloads. Uncertainties as good as 0.01 % reading are available across the vast majority of the range, making it an ideal replacement for deadweight testers. With their wide pressure range coverage, the 8270A and 8370A can replace multiple standards at once. Thanks to the modular design, pressure ranges and capabilities can be added at any time, allowing for lower cost of entry in favor of future expansion, growing with your needs. Whether you manufacture large batches of low cost pressure sensors or customized, expensive pressure sensors for aerospace and other mission critical applications, the 8270A and 8370A are ideal for use in your production line. The 8270A and 8370A make use of our unique pressure control technology, first developed to handle some of the harshest pressure calibration applications. This technology provides unsurpassed control performance over a wide pressure range over an extended life cycle, reducing your downtime and maintenance costs. 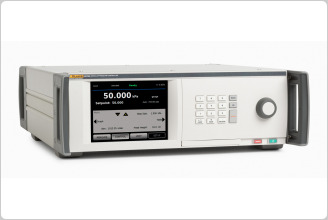 The 8270A and 8370A make use of Fluke Calibration’s modular platform design. Measurement and control modules can be easily removed through the front panel to simplify maintenance or re-ranging requirements. With times to setpoint as low as 30 seconds, the 8270A and 8370A can control pressures faster than traditional high-pressure controllers can. The 8270A and 8370A support remote communication over RS-232, GPIB, USB, and ethernet connections. Using either the native SCPI protocol or a variety of emulation modes, these controllers can be used in a wide range of automated processes. The wide pressure range control allows you to use the same test station for low, medium, or high-pressure work. By using a pneumatic pressure controller in your production process, you can provide your customers with a clean product, free of oil contamination. COMPASS for Pressure software enables you to automate the 8370A and 8270A and run complete pressure calibration sequences on single or multiple devices under test (DUTs). The 8270A and 8270A feature a full remote interface that also lets you use it with custom software or other data acquisition equipment. Fluke Calibration offers testing, repair and calibration services to meet your needs quickly and at a fair cost while maintaining the high level of quality that you expect. 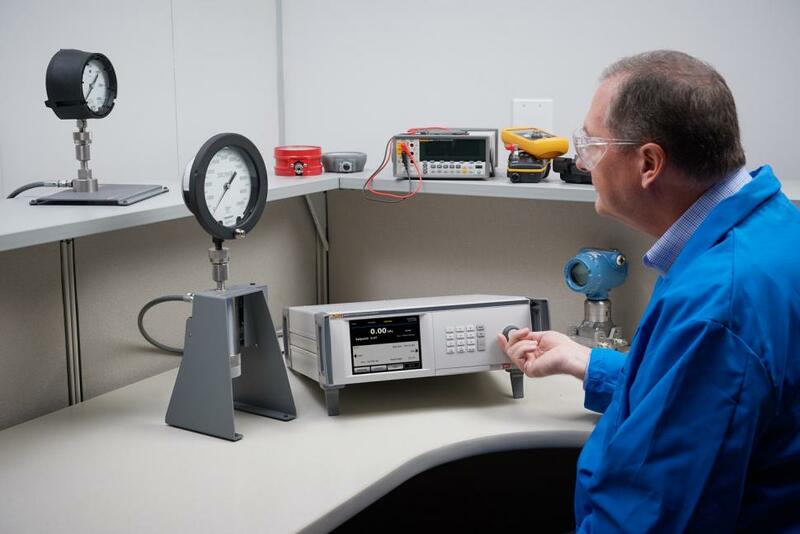 Our pressure calibration laboratories are accredited for conformance to ISO Guide 17025 and we maintain global calibration and repair facilities. Fluke Calibration sponsors pressure and flow calibration courses for both novice and expert pressure calibration professionals in our Phoenix, Arizona facility. We also host a series of free webinars about a wide variety of pressure calibration topics. If you need training to help you maintain your fleet of pressure controllers, we can help you there too. Storage: <95 %, non-condensing. A power stabilization period of four days may be required after extended storage at high temperature and humidity. Warm up time 15 minutes after power up or module installation, when items previously stored within Operating Ambient Temperature Range. Group 1 equipment has intentionally generated and/or uses conductivity coupled radio-frequency energy which is necessary for the internal functioning of the equipment itself. Class A equipment is equipment suitable for use in all establishments other than domestic and those directly connected to a low voltage power supply network which supplies buildings used for domestic purposes. Emissions which exceed the levels required by CISPR 11 can occur when the equipment is connected to a test object. 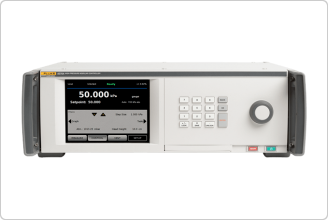 The equipment may not meet the immunity requirements of 61326-1 when test leads and/or test probes are connected. USA (FCC) 47 CFR 15 subpart B, this product is considered an exempt device per clause 15.103. This product meets requirements for industrial (Class A) electromagnetic wave equipment and the seller or user should take notice of it. This equipment is intended for use in business environments and not to be used in homes. 95 % of setpoints are within specification limits for stated conditions as calculated by mean plus 1.67 standard deviations of test data. Settling Time Settling time is the time required to be within 0.005% of setpoint for 10 % steps into volumes up to 50 cm3 for all pressures >7 kPa absolute (8270A) or 7 kPa gauge (8370A). Settling time may be affected by multiple variables, including temperature effects, component flow rates, leaks, and overall volume configurations. 1 8270A: Settling time for setpoints less than or equal to 200 kPa absolute may require an additional 15 seconds. 8370A: Settling time for setpoints less than or equal to 700kPa gauge may require an additional 15 seconds. 52 MPa (7 500 psi). System will exhaust gas through the vacuum system when controlling down in pressure. Appropriate protections are necessary.